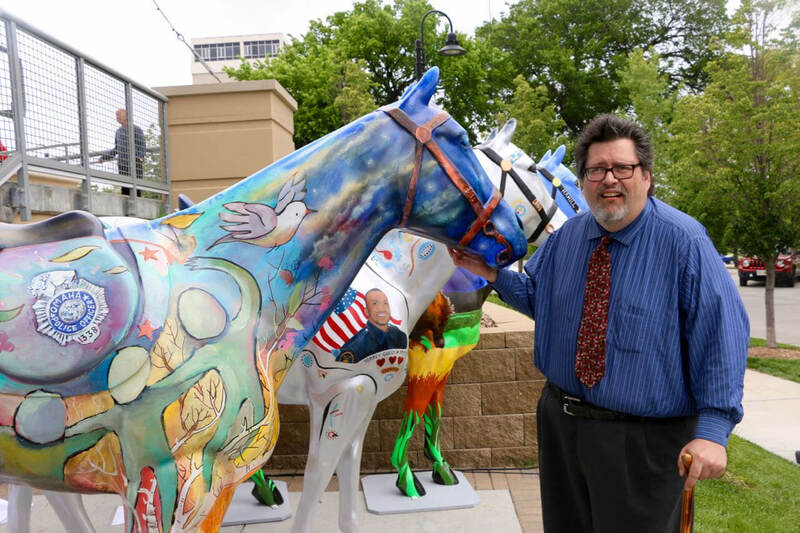 Horses of Honor® Omaha, a public art exhibition in the Midtown Crossing area honoring the lives of fallen officers of the Omaha Police Department, was unveiled in May and will remain in view for approximately one year. The project, which mirrors the Horses of Honor® inaugural program held in Chicago, includes eight life-size horse statues that are individually designed by Omaha area artists. The life-sized, riderless horses, seven honoring individuals and one dedicated to all fallen Omaha police, are sponsored by local Omaha businesses or organizations. All are currently on display in prominent locations throughout Midtown Crossing’s Turner Park. The project will culminate with the sale of the horses in the spring of 2017 and proceeds will benefit the Omaha Police Foundation. The one-year anniversary of Omaha police officer Kerrie Orozco’s death, May 20, 2016, was the official unveiling of the entire project. The horse honoring her service was created by artist Freddy Rincon and sponsored by CHI Health. In addition, a bronze statue of a dog for Kobus, the first K9 killed in the line of duty, was created by artist De La Torre Art Design and sponsored by Lozier. Officer Dawn Pollreis, artist Bob Donlan and sponsor Cox Communications; Sgt. Jason “Tye” Pratt, artist Ying Zhu and collaborator Jordyn Pratt and sponsor Omaha Steaks; Officer James “Jimmy” B. Wilson, artist Paul Hundtoft who taught Wilson in 9th grade art and sponsor Werner Enterprises; and Police Memorial by artist Trudy Swanson.